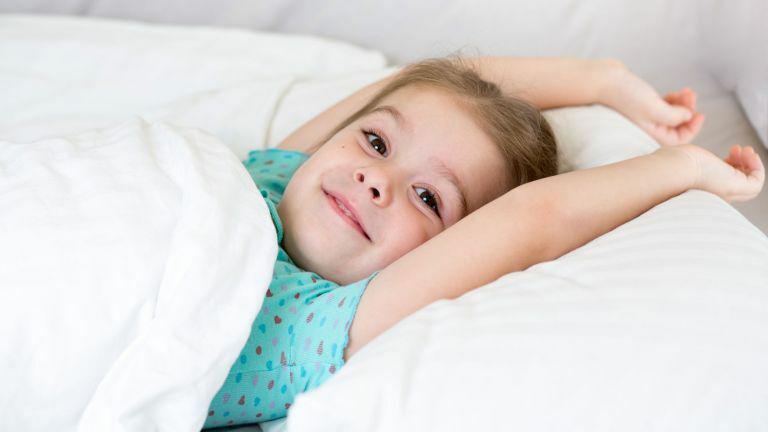 Getting a good night’s sleep is imperative for children, and an old mattress isn’t going to help their bones and muscles during such an important time for growth. It can be tricky to know what’s best for them at such as early age, but what they need most of all is support to help them sleep through the night. Memory foam is still a good option when considering a new mattress for your child. If they are fidgety, then something like the Kinder Memory Mattress will ensure comfort during growth spurts, and will reduce the amount of movement they make during the night. Alternatively, a traditional pocket sprung mattress like the Sealy Activ Latex 1400 Pocket Spring Mattress will ensure stability as well as keeping them cool all year round with an added layer of latex. Whatever you’re looking for, these top 5 mattresses are the best options for promoting healthy growth and a good night’s sleep during your children’s early years. Children can often get quite hot in the night, and it’s important to regulate their body temperature for them to get the best night’s sleep possible. This is a classic pocket sprung mattress, but with an added layer of latex which allows for better airflow throughout the mattress. Not only that but it’s hypoallergenic and eco-friendly with a luxury pillow top finish that adds extra comfort and durability to this mattress. You can expect this to last throughout their childhood and help kids develop a healthy sleeping pattern. Memory foam is great for those children who find it difficult to get comfortable in the night. This mattress will support the body, but allow them to sink into it while it moulds to their body shape to find a position they can sleep in all night. Unlike a spring mattress, you can expect no movement, noise or feeling of springs when moving in the night. Growing bones need support, and with this Silentnight mattress that is designed with young children in mind, you can rest assured they will sleep easy. It’s a Miracoil spring system which provides pressure relief and a firm surface for children to sleep on, whatever kind of sleeper they are. It’s also completely hypoallergenic, which is great for younger children who suffer with hay fever or other allergies. Bunk beds may seem like fun, but they can sometimes interfere with sleep if the top bunk sleeper is fidgety, or if it’s particularly hot in the room then the bottom bunk sleeper may have difficulty nodding off. However, this Silentnight memory foam mattress has been designed with bunk beds in mind, and the foam absorbs movement so that both children can sleep undisturbed. It has a quilted top for a softer surface, too which can be great for soothing tired joints. This open coil mattress features 192 springs which a deep, quilted finish that provides both support and comfort to children when they are growing. This mattress has been designed with allergies in mind, so if your child suffers from hay fever or any kind of dust allergy, this mattress will deter dust mites and any other irritants that may inhibit their sleeping or breathing. Those who tried it found a difference in their children’s sleeping patterns and an improvement in the quality of sleep they were getting each night.